Strong aluminium markets have provided great support to caustic soda producers in recent years. 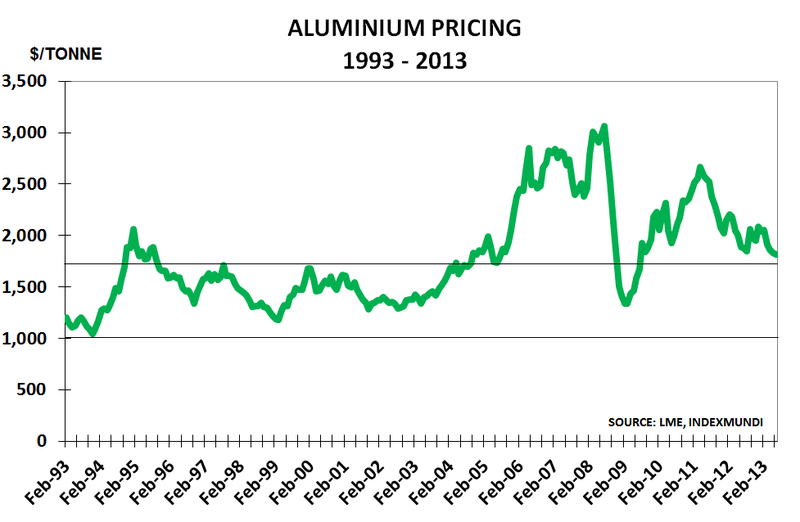 PVC and construction markets have been weak, but volumes into aluminium mining have kept prices and overall chloralkali margins strong. In turn, this has kept perceived demand strong for caustic soda strong, as the smelters operated to fill the warehouses. NEXT POST "Is the West more closely resembling Japan?" "Is the West more closely resembling Japan?"